This is me (listening hard!) 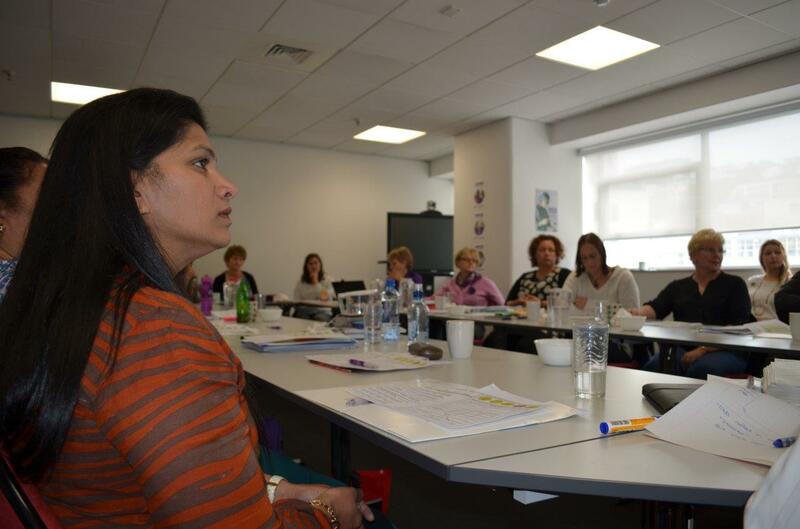 at an NZNO delegate training day a couple of weeks ago. My name is Dilani Perera. I am an NZNO delegate and a caregiver at a resthome in Wellington. I have been following Kristine Bartlett’s equal pay case with interest. When I heard yesterday about the Equal Pay case decision I couldn’t say anything for a moment. It took a while to sink in. It is such a wonderful decision and I will celebrate with my family at home and my other family at work. This decision means a lot to me and to every woman who works as a caregiver in aged care. My life has not been easy but I love my job. Most days I get up before dawn to go to work and care for my old people at work. They are my second family. I look after them and care for them the way I would want my mother to be looked after. I feel it is a privilege and a joy to care for our elders even though it is tiring and hard work. I’m always tired when I get home and I often feel bad that my family misses out. Yesterday the Court of Appeal has told me that this country cares about me and the work I do and that the money I get is not enough. I have worked here for 10 years and I have passed all the qualifications and still only get one dollar more than the minimum wage. I am a solo mother and I have brought up my three children myself, and I never have enough for them. Our house is always cold. When my children ask me for something I have to think whether it is possible this week, or next week. If I had equal pay I would have a better home and better food and better clothes. Better everything! I would also spend more time with my family. It took me seven years to save enough money to visit my mother back home. If I had equal pay I could visit more. Lots of my friends at work have two jobs and are so, so tired. I want them to be happy and well and enjoying their families. I thank my sister Kristine Bartlett and my union for giving me a better life ahead. On behalf of all caregivers and their families too, thank you. Thank you also to the Court of Appeal who finally made me feel like the work I do is valued. This is a short clip we filmed late last year about equal pay. Tags: aged care, caregiver, Caring Counts, equal pay, NZNO | Permalink. 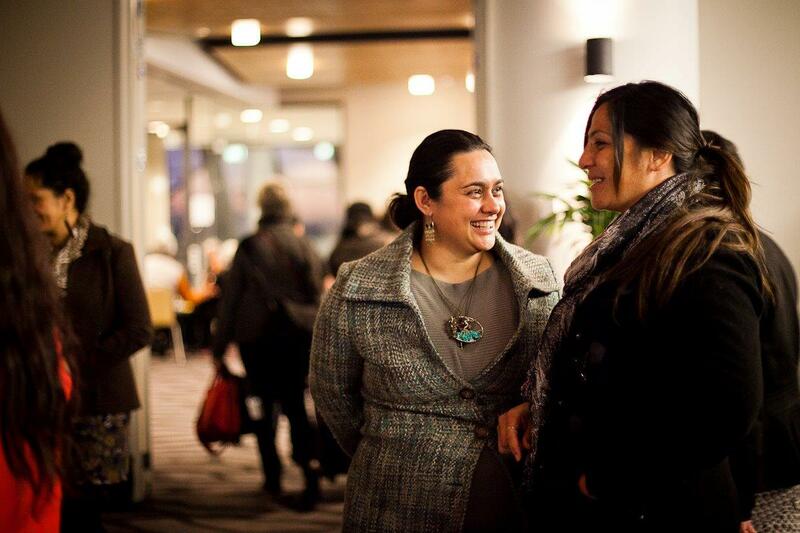 Kerri Nuku is NZNO’s kaiwhakahaere and is of Ngāti Kahungunu descent. As a leader for Māori within NZNO she sees it as her responsibility to ensure that equity is achieved for all Te Rūnanga members. The other day someone asked me what the highlight of my year has been so far. Usually that kind of question causes me to ponder for a while, but not this year. The absolute highlight of my year is the very first Indigenous Nurses Aotearoa conference, held in Tāmaki Makaurau in August. The theme for the conference was “Our health, our taonga”, which really resonated with me – as I sense it did with every other attendee. We were stimulated and challenged in our collective responsibility to protect our fundamental right to good health and wellbeing. It was so energising to be with over 250 indigenous nursing leaders, including nurses, midwives, nursing students, kaimahi hauora and health care assistants. Our combined enthusiasm and commitment to make sure health is a taonga was infectious. It is a privilege of our te ao Māori (Māori worldview) that we see health/hauora as a part of our whakapapa, our whanau, our environment and our culture. As indigenous nursing professionals, we are committed to reaffirming our rights under the United Nations Declaration of Indigenous people’s article 3, to self determine, and this must underpin any future Māori nursing strategy. We must have faith in ourselves and be courageous in our aspirations for the health of our whānau, hapū and iwi. We must look towards the imagination place to see what could be. We honour our early Māori nursing pioneers, like Te Akenehi Hei, who halted the death of Māori from introduced diseases. We have nothing to fear as we move into the future – our tipuna made sacrifices and we will too, so that our mokopuna, whānau, hapū and iwi receive the best health care available in Aotearoa. As indigenous health professionals, we must have the freedom to determine what is best for us. We will continue to advocate for Māori nursing and workforce issues. We will lobby for change and challenge the barriers that are placed in the way of Māori nursing and workforce success. Kaimahi hauora: be brave, take action when you can! Ko te kai ā te rangatira he kōrero! Click here for more information about Te Rūnanga o Aotearoa, NZNO. Tags: advocacy, collective action, discrimination, health politics, Maori, nursing, NZNO, workforce planning | Permalink. Today is International Day of the Older Person; a day to celebrate the achievements and contributions that older people make to our society and tackle the barriers faced by older people. He’s right. And there’s plenty that NZNO members might want to say about that (check out NZNO’s priorities for health here), but let’s have a look at how we value our older citizens today. The government approach to care of older people in Aotearoa is ageist. By under-funding this sector, the government is signaling that older people don’t matter. And by extension, neither do the workers who care for them. Staff in residential aged care facilities are some of the lowest paid workers in New Zealand, and successive governments, for over 20 years, have allowed that to continue. That’s not valuing our elders or the people who care for them. We are failing to provide sufficient protection for the health, welfare and financial stability of either older people or those who work with them. So, how do we change things? How can we show older people the respect and dignity they deserve? Increase government funding to residential aged care providers; it’s just plain unfair that health care assistants and caregivers who work in aged care facilities get nowhere near as much as their colleagues who work in DHBs. The Government also needs to make sure that funding is passed on to workers, not retained as private sector profits. A quality, nationwide training and education programme would achieve two things: consistently provided quality care for residents and a career pathway that would attract and retain great staff. Regulate for safe staffing! Our members want to provide quality care, but at the same time as residents care needs increase, our members face continuous cuts to care hours. How can workers enjoy their work when they are stressed, overworkerd and worried about missing something and making a mistake? There must be enough staff to provide quality care for every resident. None of this is rocket science, and none of it is news to the sector or the government. All that’s needed now is action! 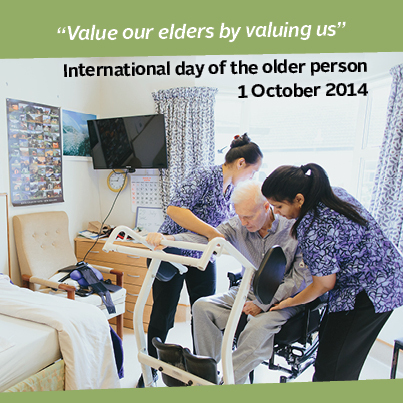 Action to value older New Zealanders and the people who care for them. Our elders should be valued and celebrated. The workers who are carrying out the responsible and skilled work of caring for our elders should be valued, celebrated, admired and supported for their important work too. 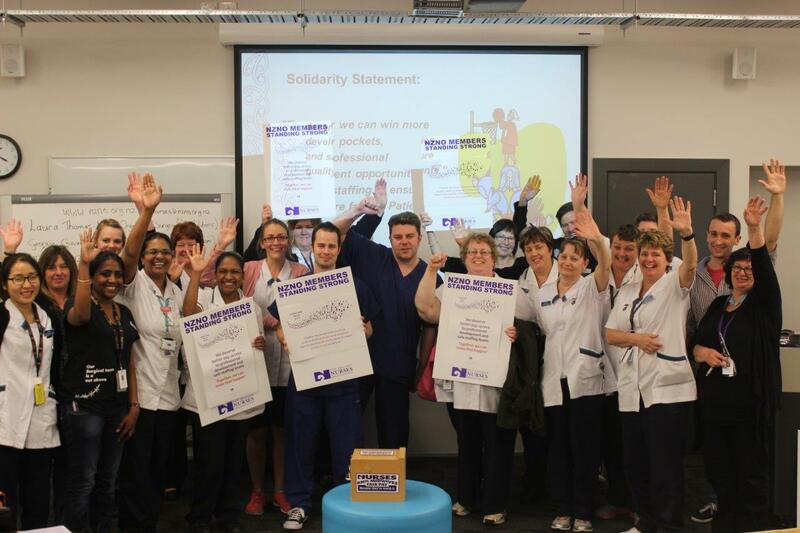 Tags: aged care, caregiver, Caring Counts, equal pay, fair pay, funding, health politics, NZNO, safe staffing | Permalink.